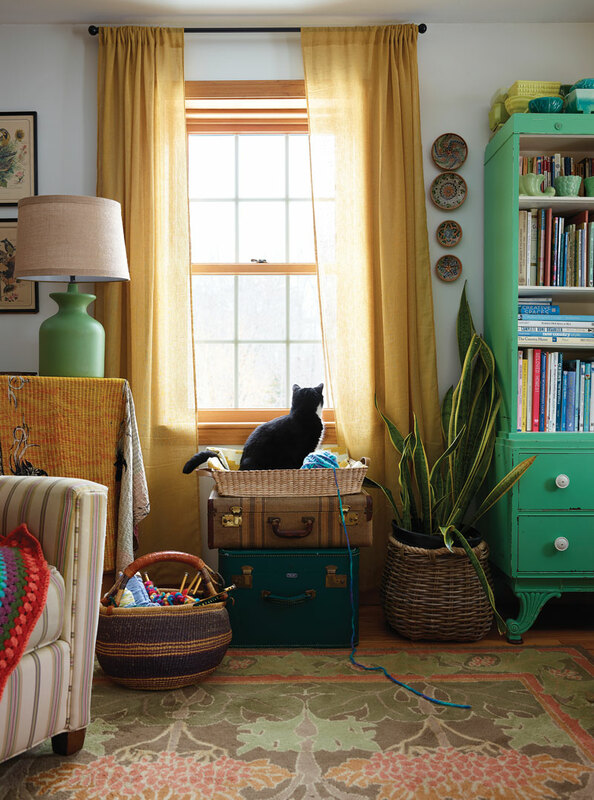 Crocheted throws and quilts (including one covering the day bed) add color and soft texture to the Bradstreet home. 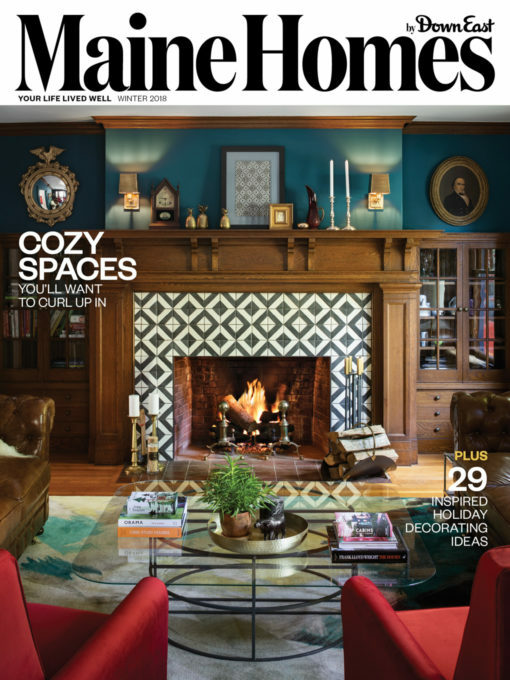 The layered style — books, ceramics, and pictures, liberally displayed — is warm without appearing messy. 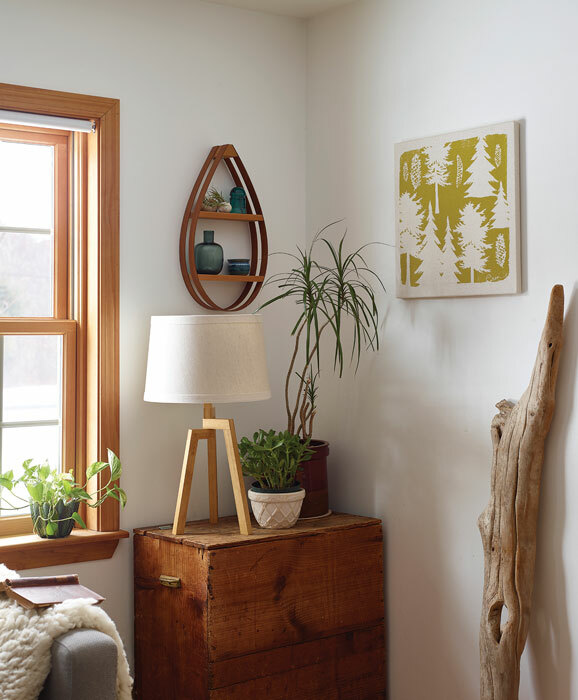 Amy and Alex Bradstreet are living in an ongoing renovation project, and they’re doing it comfortably, stylishly, and good-naturedly. There’s no magic to their patient approach to home improvements. Devoted do-it-yourselfers, they’re in it for the long haul — six years now and counting — and the satisfaction they get from seeing the results of their hard work sustains them. Alex’s deep connection to the four-bedroom house in Palermo is a powerful motivator. 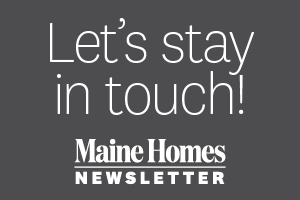 The property — encompassing about 125 acres of abandoned farmland stretching north from Sheepscot Lake to Mud Pond — has been in his family since 1799. His great-great-grandfather built the house in 1861, his great-grandfather, grandfather, and father were born in it, and he grew up there. 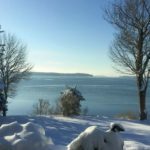 He and Amy bought the place from his parents in 2012, with an eye toward reclaiming some of the farmland for maple-syrup production, beekeeping, growing Christmas trees and apples, and raising a few farm animals. They took it on with eyes wide open. 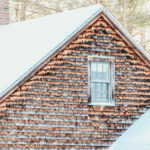 In the 1970s, Alex’s parents had stripped the farmhouse of its historic character in an effort to modernize (at the time, it didn’t even have plumbing). They ripped out the lath-and-plaster walls and removed all the original doors, many of which they never got around to replacing. Some renovations weren’t well planned, like the downstairs bathroom that had no sink. 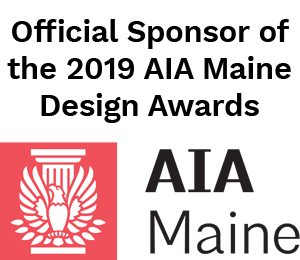 Some were unnecessary, like the first-floor drop ceilings installed to match the one concealing the bathroom’s new pipes. Others were never finished, like the particleboard subfloors that had stabbed splinters into Alex and his siblings’ bare feet. On top of all that, the kitchen was unusable due to heavy water damage from pipes that had frozen and burst. Vintage luggage makes an attractive under-window table in the living room. 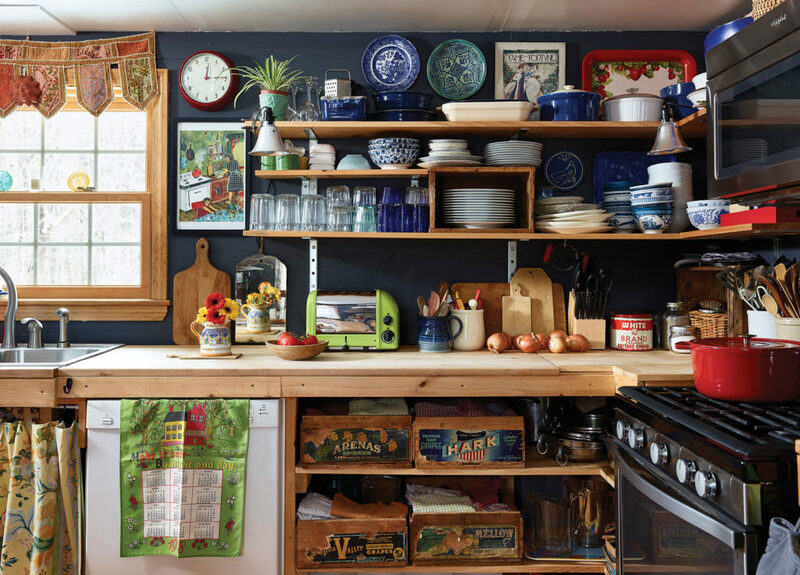 The Bradstreets incorporate farm artifacts like fruit crates into their open shelving, which contrasts strikingly with walls painted Valspar’s Hematite. The wooden box holding plates is in its second reincarnation — Alex’s grandfather had repurposed it as a tractor seat. 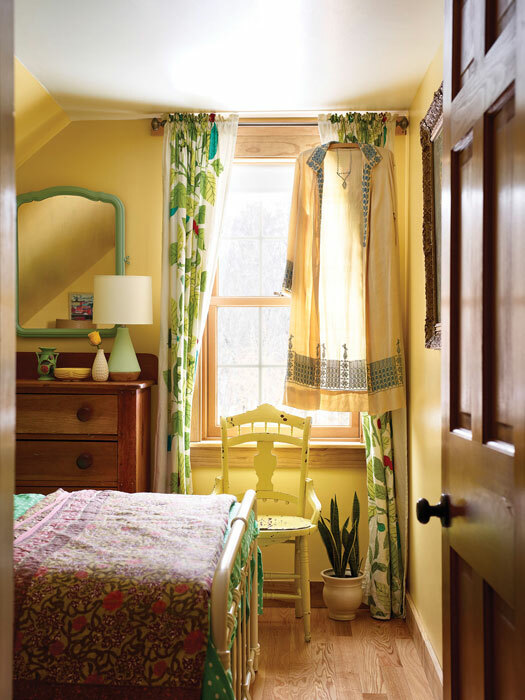 Ikea curtains lend a playful touch to a cheery guest room painted Valspar’s Homestead Resort Tea Room Yellow. 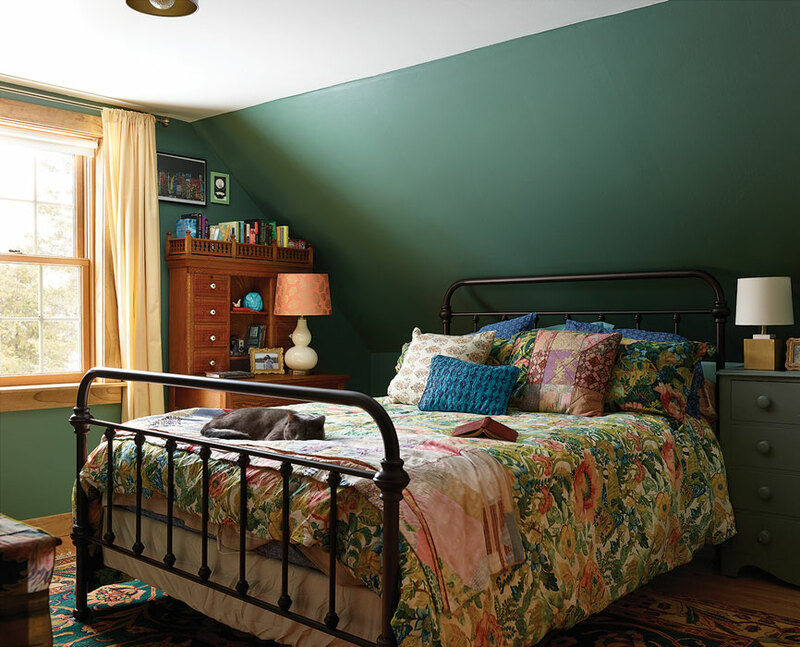 Daughter Olivia’s bedroom is lush as a garden with its flowery quilt and spruce-green walls (Valspar’s Jekyll Sans Souci Green). The first year they owned the house, they lived in Old Orchard Beach, more than 1½ hours away. 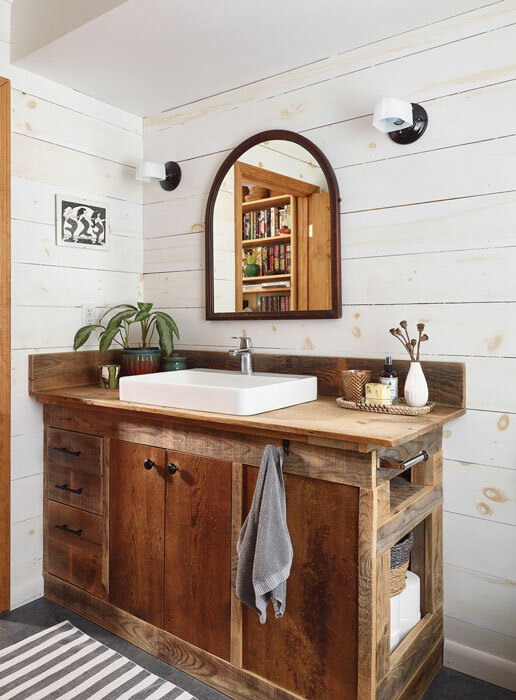 They had the exterior re-sided, stripped the living room wallpaper, and renovated the downstairs bathroom, building a vanity out of salvaged pine floorboards and barn siding. 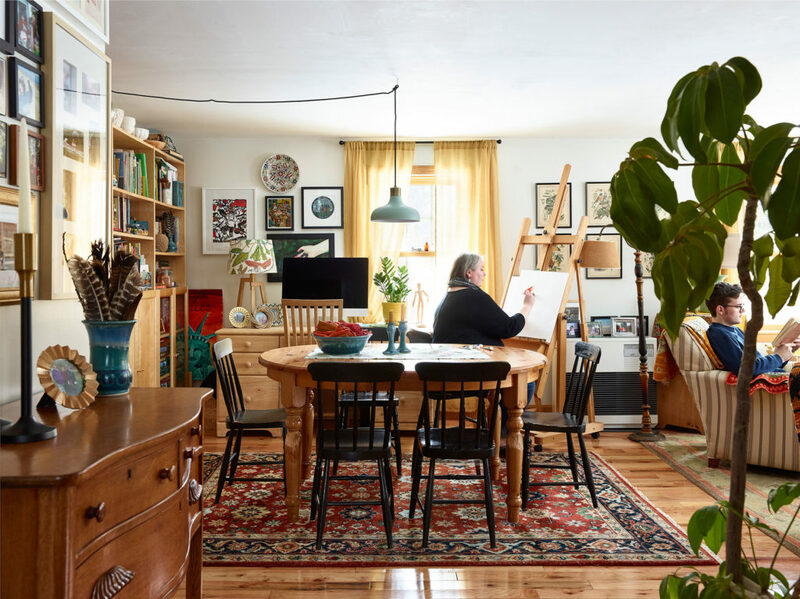 Stymied by the commute, they moved in earlier than they’d planned, tackling the kitchen, painting, and laying down floorboards in their then-teenage son and daughter’s bedrooms and in their own. Next up: switching out that plastic 70s front door, maybe, or finally removing those drop ceilings. It’ll be messy and time-consuming, but it’ll get done. With the Bradstreets, it always does. Amy paints while son Adam reads in the living/dining room.